Abdullatipov pledged Dagestan's loyalty to the Russian Federation at his investiture. 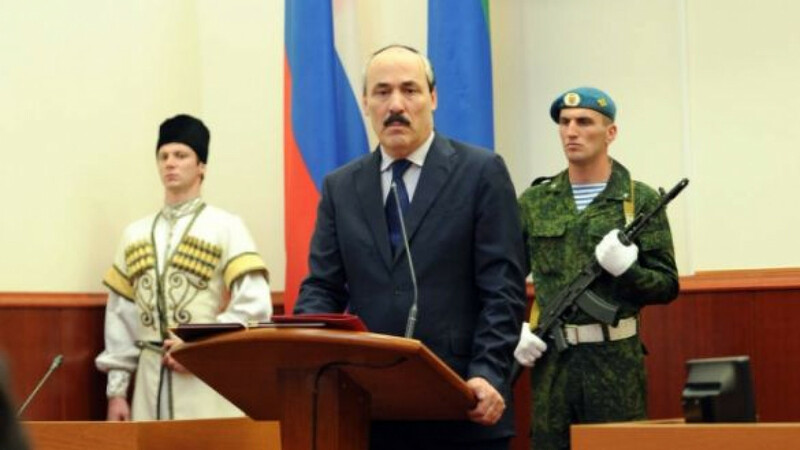 Dagestan's legislature has overwhelmingly elected Ramadan Abdullatipov as the republic's leader, formally installing a former philosophy professor whom the Kremlin first appointed to the post earlier this year amid worries about growing local instability. Abdullatipov's election was supported by 86 of the legislature's 88 lawmakers on Sunday, Itar-Tass reported. The other two lawmakers voted for Dagestan's human rights ombudsman, Ummupazil Omarov, while no one voted for the third candidate, Malik Bagley, Dagestan's top natural resources official. Abdullatipov, who took the oath of office within a half hour of the vote, promised to keep Dagestan, where an insurgency by Muslim militants has raised fears of unrest, a loyal subject of Russia. "This is a huge burden imposed by Russia's president, Dagestan's legislature and the people of Dagestan," he said, according to Itar-Tass. "I will not limit myself to words. I will act. I will achieve success in specific areas. Dagestan will be taken to the next stage of development. We must remain a firm outpost of the Russian Federation." Dagestan's previous leader, Magomedsalam Magomedov, resigned under Kremlin pressure in January as his popularity fell and he witnessed the collapse of a number of projects that he had introduced to revive the local economy. Abdulatipov, 67, holds a doctorate in philosophy and served as the rector of the Moscow State University of Culture and Arts from 2009 until he was elected to the State Duma on the United Russia ticket in 2011. He quit the Duma when the Kremlin tapped him to lead Dagestan in January. Even though President Vladimir Putin restored direct gubernatorial elections last year, special exceptions have been made for several regions, and Dagestan was among the first of those exceptions to elect a new leader. All three candidates in Dagestan were nominated by Putin on Aug. 19 and had to be confirmed by local lawmakers rather than ordinary voters. Also Sunday, Dagestani lawmakers approved the appointment of Abdusamad Gamidov as the republic's prime minister. In a similar election in the neighboring North Caucasus region of Ingushetia, lawmakers re-elected Yunus-Bek Yevkurov as the republic's leader. Twenty-five of the legislature's 27 lawmakers backed his re-election.